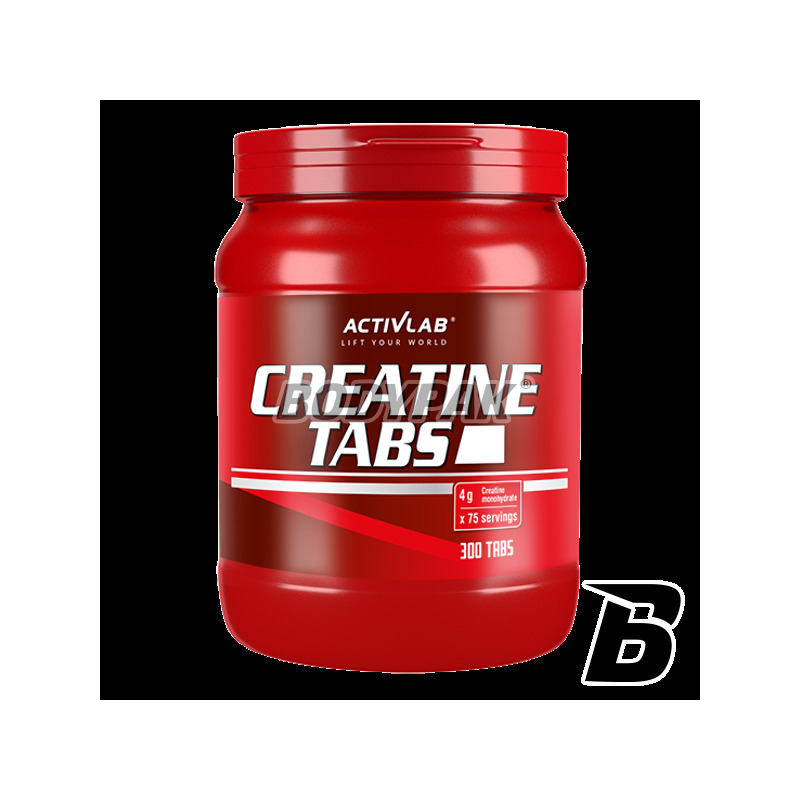 CreatineActivlab Creatine Tabs - 300 tabl. If you work hard in the gym and you care about the growth of muscle mass and strength, it will also need a good dose of creatine! Creatine is an organic compound chemical that occurs naturally in human skeletal muscle. It is a substance composed of three amino acids: methionine, arginine and glycine. Combining with phosphorus produces a molecule called phosphocreatine, which provides energy during anaerobic exercise. 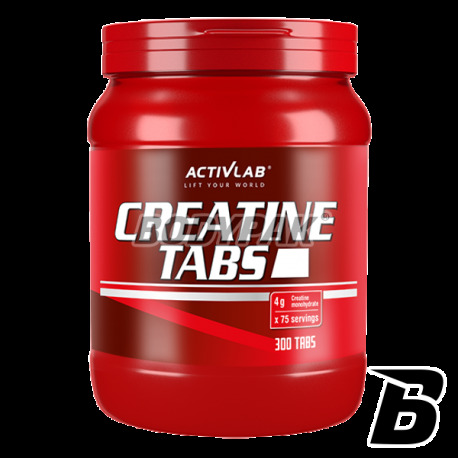 Activlab Creatine Tabs is a proposal for athletes who are looking for proven and safe supplements that will support the rapid growth of muscle and physical strength! Creatine is used in the sport for many years and in spite of such a long period is not proven any negative effects of its use! Under normal conditions, the amount of creatine stored in muscle is small and is consumed in a few dozen seconds. Muscles are able to accumulate a lot more creatine compound, and the use of creatine as a supplement to your daily diet causes that they become a lot stronger and stronger! Just a few days after initiation of increasing the volume of muscles and their ability to perform anaerobic exertion. The muscle is stopped water, which favors anabolizmowi muscles. Using proper diet, a properly conducted 4-6 week cycle creatine can bring us a few kilograms of new muscle! The first portion applied 30 minutes before workout, second dose immediately after training. The first dose 30 minutes before breakfast, the second dose 30 minutes before lunch or dinner.